Bharadwaj, a youth from Kanchipuram, Tamilnadu went to Japan in the 10th century (736 AD). To the Japanese he was 'Baramon'. He taught them Buddhism, Ramayana, Sanskrit, Dharma, Hindu Philosophy and gave them culture, art and music. Today everything with which the Japanese rightly feel proud of as their ancient heritage and culture was given to them by this monk. The Japanese have three scripts - one of them based on Tamil and Sanskrit. That was given by "Baramon Bharadwaj". A Japanese delegate Shri Shuzo Matsunoga participated in the Fifth World Tamil Conference held at Thanjavur in 1981 (30 years ago). He presented a paper on 'Thirukural & Thiruvalluvar in the eyes of Japan'. 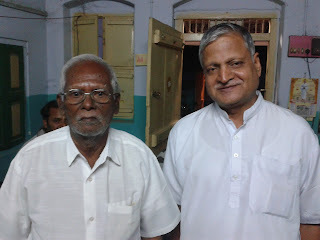 Muthu, now 91years young, of Omalur off Salem, Tamilnadu came in contact with Sri Shuzo Matsunoga after the Conference. They discussed at length the Tamil culture and literature. Shuzo translated the English version of G U Pope's Thirukuraal (aphorisms) as guided by Muthu Ji. Shuzo also translated various books of Subramania Bharathi (Kuil Paatu), Naaladiar, Vallalarr poems, Manimegalai and Silapathigaram into Japanese language. Shuzo not only translated the literature but also the culture/rituals of tamils from birth to death, which was greatly relished by the Japanese. Shuzo also bagged a prize for translation of tamil work in 1985 organized by University of Tanjore who also authors a book "My India as seen through letters". Now, the Government of Japan has included this Thirukural as a lesson in the text book at college level. To cap it all, when the Japanese Government proposed to release a postal stamp to honour Shuzo Matsunoga for his works, he humbly refused and said, "To translate this tamil literature into Japanese language, Muthu from Salem has helped me. So the credit goes to him". 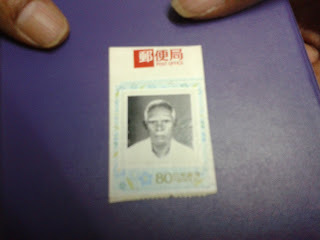 On his recommendation the Japanese Government released a postal stamp on Muthu (Salem) for 80 Yen (Rs.27/-) in 2007. Muthu, a humble and noble person, did nothing for selfish end. It was all for the tamil literature. He communicated all this over to his friend in Japan only through 200 letters, while, in the Facebook age, individuals transmit info electronically. Shri Ravikumar of Vishwa Vibhag during his tour of Tamilnadu, met Muthu Ji. He was received well. Muthu ji lauded RSS for its social service and patriotic fervor. 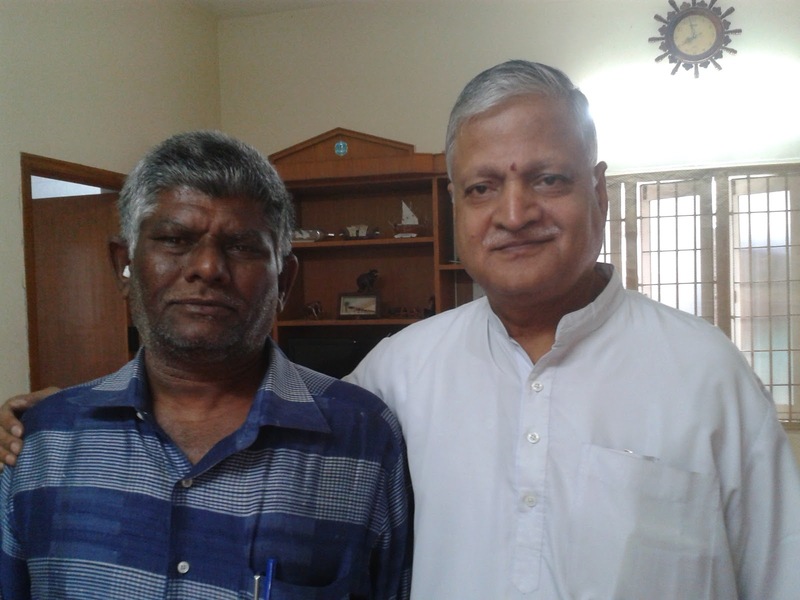 Ravikumar of Vishwa Vibhag met Pasupathi, a wall writer of Salem Tamilnadu who inspires people by writing telling quotes on the walls of Salem City. His father, a freedom fighter inspired him to do something good to the society and to the nation. On his motivation, Pasupathi spends three hours weekly (on Thursday) to write good quotations at 20 places which will be displayed for a week. He has been continuously doing this service silently for about 20 years. His quotations have inspired many people. Recently, when his quotations were uploaded in the Face Book, (www.facebook.in/mmmcorner) Dr. Raghunathan, Brimingham, UK was inspired and compiled the quotations as a book on the occasion of his daughters' wedding. Thus the good word spreads.